London Summit 2017 : The Agenda Is Live! Don't miss the biggest industry event of the year in London on November 14-15! 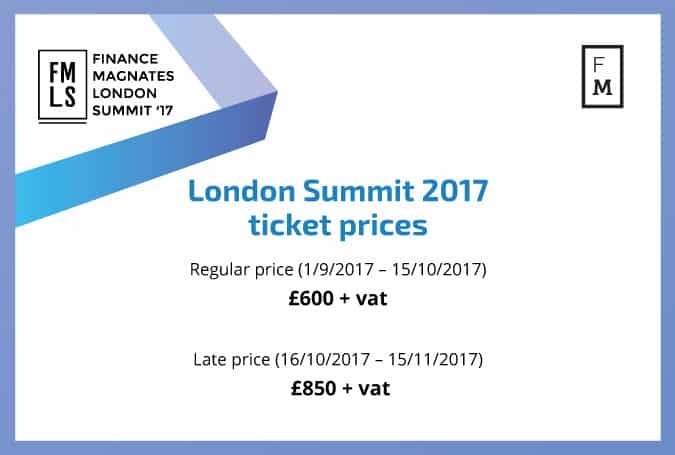 The trading industry is poised for the biggest event of the year, with the 2017 Finance Magnates London Summit coming to town. Having hosted the yearly marquee event for the past six years, the buzz is already growing with leading executives, companies, and thought leaders getting ready to attend. The summer slowdown is behind us (although we still get the odd bouncing email), and this is a great opportunity to present you with the (almost) full London Summit agenda. The London Summit brings together the most influential people in the trading industry to network, learn, and discuss leading issues. The agenda is filled with distinguished speakers, diverse panel discussions, and hands-on workshops. It takes place on November 14-15, 2017. Amongst the many highlights of the event will be the Finance Magnates Awards ceremony. Winners in each category are chosen by the votes of industry peers, a unique system that ensures that award recipients enjoy unmatched prestige in the financial world. As always, the London Summit will feature delicious food as well as free-flowing coffee and alcohol, facilitating the best possible atmosphere for networking and business opportunities. The event will be capped off by a closing party at one of London’s most exclusive nightclubs. We add new features to the London Summit every year – this time, registered attendees will be able to engage with our scheduled speakers early on, and submit questions to be considered for the panel. How? Choose the session, find the speaker, enter your registration number, and shoot. Speakers will address your questions on the day, and maybe even before that. 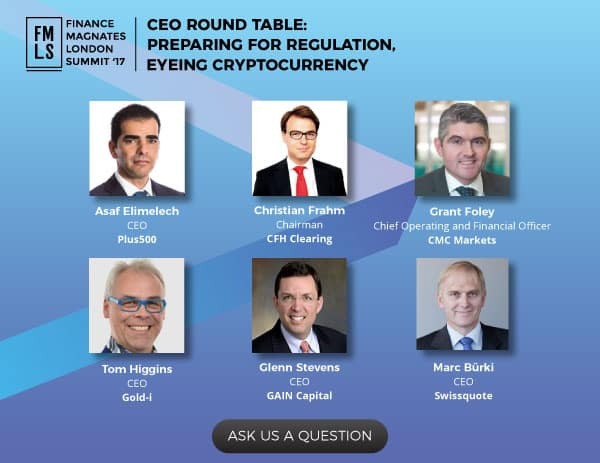 As for upcoming topics at this year’s summit, the financial industry stands at a unique crossroads, having weathered a number of different issues recently. 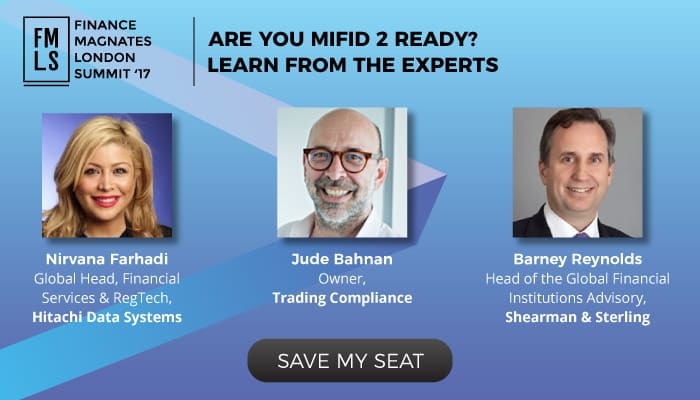 Elections in the US and Europe and the ongoing Brexit debacle have all had an impact, and the upcoming specter of MiFID II stands to dramatically reshape the regulatory field in Europe. Meanwhile, cryptocurrencies have become all the rage amongst brokerages, heralding a new era of trading as these instruments constantly set all-time highs. In the fintech space, a series of disruptive technological developments in big data and high-speed trading stand to make their mark on the trading industry too. All of these subjects and more will be discussed at length at the event. Registrations fly in at a fast pace, so you might want to consult the reduced prices timeline. If you haven’t registered already, what are you waiting for?